Dogs are super active animals and leaving them to sit in front of a television to watch the News or animal documentaries will only waste their energy and will make them bored. Keeping your pet dog busy indoors and outdoors will kill his boredom and will help in better health and mental development. Making your dog work for his food through interactive toys or teaching him new tricks are productive ways to utilize your little furry companion’s energy. It has been noticed that new pup parents think the food is the only reward that can help them to train their dogs. But let me tell you that there are dogs that do not turn up for food or others are overweight and their parents no longer want to train them through dog treats. For this reason below is a list of rewards that can help you to train your dog easily with no treats. Dogs are no doubt one of the best pets you can own. They can easily create an unconditional bond with their parents. They are even able to understand what you are going through by your tone and physical gesture. Just like humans, animals also love to be praised…and this is especially true for dogs. You can use verbal phrases such as “good boy” or “great job buddy” to motivate them to perform the desired behavior. Remember to bring some excitement in your tone as you are really proud of what your companion has just performed. 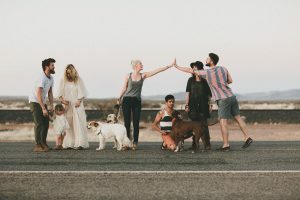 These simple “happy-talks” will not only motivate him to show desired behavior, but it will also help to develop an even stronger bond between you and him. You feel proud after getting a tap on your shoulder when you cook delicious food for your family. Similarly, when you give a hug or cuddle to your dog after showcasing the desired behavior, he feels happy and joyous. Patting, cuddling or scratching your furry companion can even make you his favorite person as a dog loves touch. Just try to figure out his favorite spot where he loves your touch. Showing love to your companion dog will make him repeat the behavior. Playing is yet another tool that can be used to build a stronger relationship between dog and his parents and to train them wisely. Identify your dog’s favorite toy and keep it with you. Only provide him with it when he behaves according to your command. In this way, you can offer your dog’s favorite chew toy in a reward. Does your dog love going out? Does he love playing with you in the backyard? If yes, then it is time to change these daily routine activities that he loves into rewards. 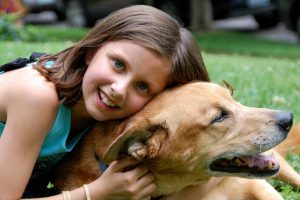 We can do this by applying the Premack Principle in which you ask your dog to show low probability action (the one which is desired) and reward him with high probability behavior (the action that he loves to do). Like before going out for a walk you can ask your dog to sit and only unlock the gate when he shows the desired behavior. Training a dog is a lifelong process. You may find difficulty in the beginning, but stay “paw-si-tive” and keep pouring in the efforts. As always, the highly trained Pro-Train staff is always available for new dog training recruits. Dogman Mark Castillero has trained over 10,000 dogs in his 40-year career and only employs the best trainers in the industry. 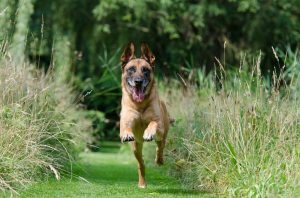 If your dog has an appetite for inedible items like dirt, socks, or rocks, you’re probably concerned about the reason behind this abnormal behavior — and what it’s doing to Fido’s health. As it turns out, the consumption of non-nutritious substances is a known disorder called pica. Pica has numerous causes ranging from underlying health conditions to behavioral issues requiring modification. At worst, pica can give your dog a serious intestinal blockage needing surgery. Not only is this upsetting for you both, but you’ll also take a financial hit of about $3,000 per Healthy Paws Pet Insurance estimates. If your dog is experiencing strange cravings, visit your veterinarian to determine the root cause and the right treatment to protect his health — and your bank balance! 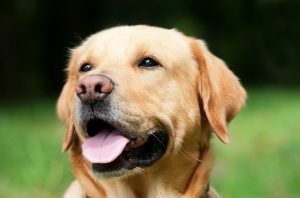 Your vet will run tests to determine if your dog has any underlying health issues driving him to eat non-food stuffs. 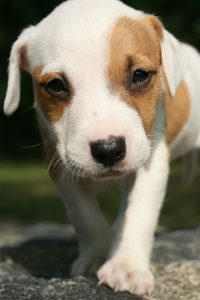 It may be that his pica is due to a nutritional imbalance, iron deficiency, or digestive disorder that needs treating. More serious causes of pica may include brain lesions, stomach tumors, or exocrine pancreatic insufficiency. Chances are your dog doesn’t have a serious physical illness, but it’s best to be on the safe side. When dogs are bored or lonely, they tend to create their own forms of entertainment. 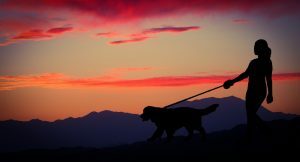 If you think lack of stimulation is causing your dog’s pica, work on enriching his life. Give him plenty of attention, play with him regularly, and take him on long walks. It’s important for your dog to burn off excess energy, so he’s tired and content at home. Teach your dog verbal cues to get him to break his behavioral habits. As soon as you see him eating something he shouldn’t, interrupt his behavior by making a noise like a kissy sound (which is more attention-grabbing than using his name). Tell him to “leave it” or “drop it” and lure him away with a treat. Recall is also an invaluable command, especially if he tends to eat things when you’re out on walks. Lastly, keep objects out of your dog’s reach tidy laundry away, put trash straight in the bin, and keep cleaning products off-limits. You can also spray taste deterrents (like black pepper) on certain items. If you need to, muzzle him on walks. Although it may take a while to resolve pica, it’s certainly possible with dedication and perseverance. If you’re giving your dog plenty of exercise and a balanced diet, pica should no longer be an issue. If, however, you find it continues despite your best efforts, go back to your vet for advice. 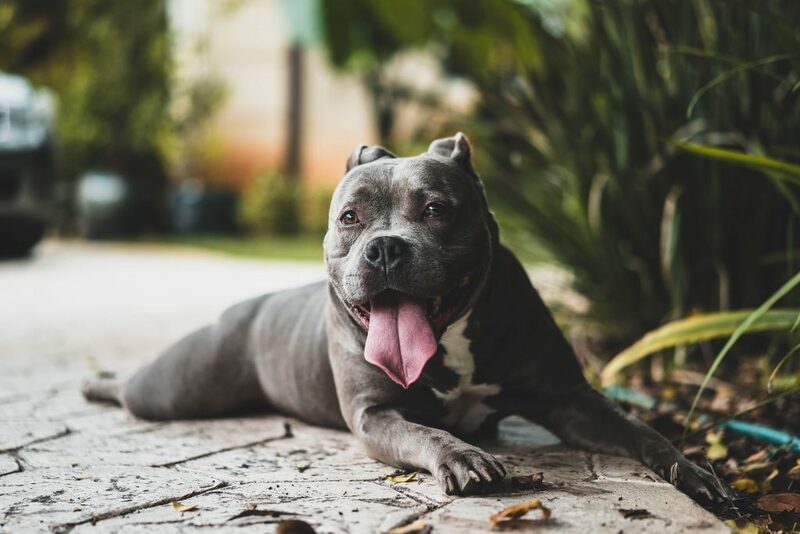 It may be the case you need to constantly enforce the above preventative measures to keep your dog safe and prevent potential intestinal blockage. Likewise, it’s important to determine if the issue is related to the need for behavior modification. 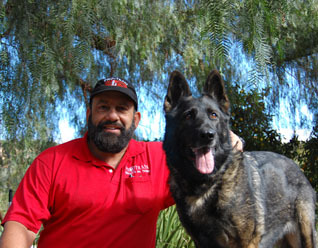 Mark “Dogman” Castillero, founder and owner of Pro-Train Innovative Dog Training, specializes in behavior modification. He and his team can help stop an undesirable behavior and help dog owners commit to a program to refocus their dog. Crate training is the first necessary step you should take after bringing home a dog or pup. The crate has to be portrayed as a home to the pet. To achieve this end, you have to create positive associations in the pup’s mind about the crate. To successfully “crate-train” your pooch, you should follow these do’s and don’ts to masterfully hack the dog’s mind and create good memories. To create positive experiences of the pooch in relevance to the crate, use positive reinforcement every time he obeys you. Give him treats in the beginning to walk inside the crate and continue to praise him whenever he walks inside the crate on his own. Even if it has become a routine, continue to appreciate the behavior. Some dog breeds take more time than others, but patience is the key here. Dogs usually feel anxious in unfamiliar surroundings. Place the crate in a comfortable place with the chew toys and treats in it. Try treat-dispensing toys or puzzles that can engage the pooch in your absence so that he may not feel aloof or cut off from the family when you are not home. Exercise is a must to tone down the anxiety of pooch, so take him for walks or playtime before you put him to crate. Let the pooch exhaust his energies exploring the surroundings. Once he is tired and all drained, you may put him in the crate to relax and rest. Introduce your puppy to the crate at an early age, well before he turns one. Leave him in the crate for 20 minutes at first. Once the dog feels comfortable for that time period, then you can extend the time to 30 minutes. A gradual increase in time will keep you aware of their comfort. It will prevent him from developing separation anxiety. Such slow crate training in your presence will create a trust in dogs that they will be let out. However, long hours of crating will increase their anxiety and fright due to change. 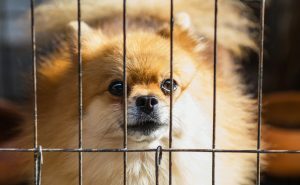 Give the pooch proper time to eliminate before locking him up in the crate. If the pooch has eliminated in the prohibited area of the crate, then your housebreaking efforts have failed entirely. You will have to start all over again. Crates should never be used as substitutes for supervision. In other words, don’t consider crating the dog as a substitute for your lack of time for the pooch. If you have a busy lifestyle, it’s better to not consider bringing home a pet. When you are home, spend time with the pooch to develop a close bonding and understand the needs and routine of your dog. Allow him to freely move around in your presence. Using the crate as a punishment or timeout will create negative associations in the dog’s mind. The more you will push him inside, he will resist you. It may create a loophole in the relation of dog and the owner. Let the dog freely explore the crate when it’s door is open. Let him enter it on his own accord. Don’t use a crate that’s too big or small in size. A big crate will let your dog compartmentalize it into a bathroom as one end and retreat on the other end. On the other hand, a small crate may not allow the pooch to stretch or even stand up, which can be congested and uncomfortable for the dog. The crate should be of a balanced size to allow some space for the dog to move around and play with the chew toys. Here are some of the creative dog pen ideas for dogs. 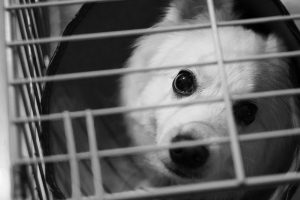 Pushing or shoving the dog inside the crate before leaving home will create negative associations in the dog’s mind. He will consider it a punishment and will try to hide as soon as you reach for the car keys before leaving. It will create fears and anxiety in your dog, which are root causes of other behavioral issues. 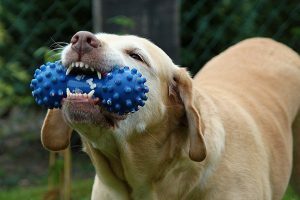 Dogs can be given chew toys to nibble on during your absence, but bones should never be given for long time periods and without your supervision. If the bone is cooked, it is brittle enough to crack in the mouth and cause seizures. The chewing time of bone should be fixed and monitored to avoid your Fido choking on the bone after engulfing large pieces of it. 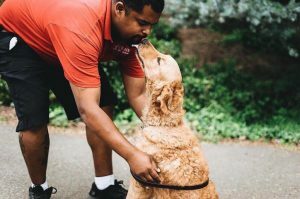 There are approximately 390,000 service dogs across the United States. These dogs are trained to help save the lives of their owners as well as other people around them. Just like our local firefighters, law enforcement, and military members, these dogs are national heroes. They go through extensive training and practice to become the legends they are today, and with the right training, your dog can join the ranks. So, sit down with your pup and read about some inspirational dogs and the training that saved lives. 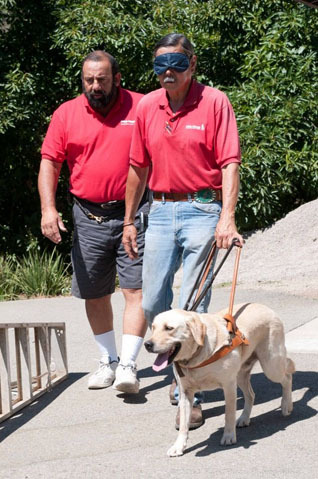 On the morning of September 11, 2001, Michael Hingson, a blind computer sales manager, was sitting in his office on the 78th floor of the World Trade Center’s North Tower with his dog, Roselle at his side. At 8:46 am, he heard a loud booming sound that shook the building and created large eruptions of screams. Michael told Roselle the command “Forward” and Roselle immediately led Michael outside of his office and down the stairs. In the staircase, there was a woman who was screaming about how they wouldn’t make it, so Roselle nudged her and calmed her down. Together, the three of them made it out alive. 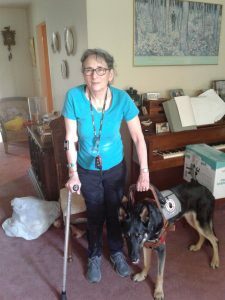 Roselle was an inspiration to everyone, and even became the “spokes-dog” for the Guide Dogs for the Blind organization. However, her training started with a simple command: Forward. To teach your dog this life-saving command, you will start by having him sit. Then, take a treat and place it in front of him while saying forward. This will get him to move towards the treat and in essence, complete the forward command. You can do this motion multiple times until your pup is able to move forward without you in front of him or her. One cold winter night, Eve and Norman Fertig, founders of the Enchanted Forest Wildlife Sanctuary, went outside to check on the blustery weather. However, while outside, several trees fell, and they became trapped in an alley between two buildings. They couldn’t climb out and spent two and half hours huddled in the snow. Eventually, their dog, Shana came to the rescue and began digging her owners out of the snow. It took 2 hours for the dog to get them out, but she eventually cleared a tunnel about 20 feet long and saved the Fertigs. If you’re stuck in a similar situation, it is important that your dog knows the command “dig”. You can do this by hiding one of Fido’s favorite treats or toys in the ground. You should lightly cover it so that the dog can still see his prize. Then, tell him to dig. 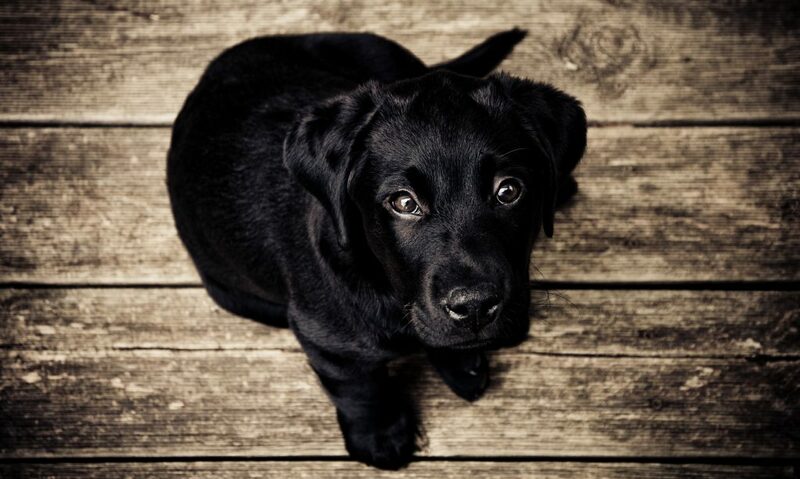 Pair good behavior with treats and reward your dog when he completes the command. Eventually, with enough practice, you can start to bury the toy deeper. This isn’t just a great command for life-saving skills, but it’s also a fun game to play with your dog. You can hide his favorite items and see how long it takes for him to find them. Videotape them and upload them to Instagram, so that he can become a media sensation! NOTE: Typically, a common pet dog would not be taught how to Dig. Most that come to Pro-Train are taught how NOT TO DIG. But in an emergency situation, it’s a good thing to be so bonded with your dog, that he is willing to risk his life to dig you out of trouble. One day, Judith Shaw, who suffers from glaucoma, blacked out on the floor. Lucky for her, Judith’s dog Louie was trained to save her life. Louie immediately pressed a panic button and started barking into the intercom. This button went directly to care services and an ambulance was immediately dispatched to save Judith. Louie saved his best friend’s life and was awarded an animal bravery award. This trick is great for anyone that is prone to falling or living alone. 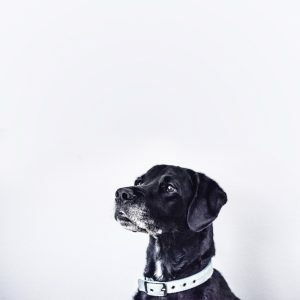 You will need a panic button, or some sort of device that connects to medical services and you will need to train your dog to bark on command. To do this, find a treat or toy that gets your pup excited. You can also try ringing the doorbell or knocking on the door if the toys don’t work. Then, say “bark” or “speak” and get your dog to bark using the method that you chose. As soon as Fido speaks, you should reward him with a treat. There are many dogs out there that have done heroic acts and saved lives. However, your dog is just as much of a hero as them. Train them well and one day, they could save your life. Does your fur baby not know its role in your family? 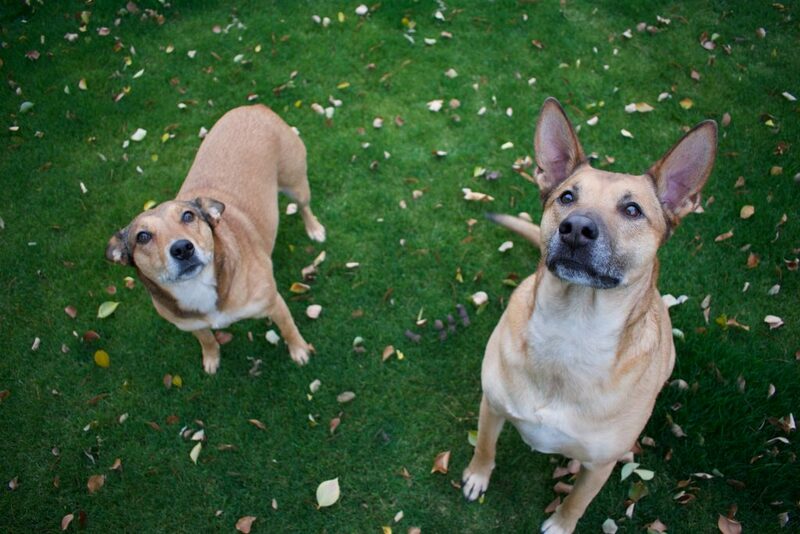 Is Fido confused at who exactly is the Pack Leader in your home? -My dog doesn’t understand commands. -My dog barks aggressively at other dogs on a walk. -My dog has a hard time calming down. -My dog is causing my family stress. -I can’t have guests over without my dog jumping on them. -I just want my dog to listen to me. -I want my dog to stop chewing things. -My dog likes to dig. -I have a new puppy and I don’t know where to start. Dog Training requires Behavior Modification. 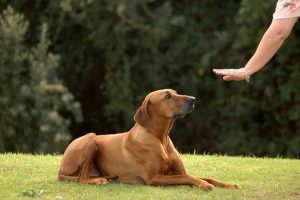 Any unwanted behavior in your canine can be corrected with the proper training. It takes work. It takes a commitment by you, The Pack Leader. It takes follow up by The Boss. But how do I know where to start? 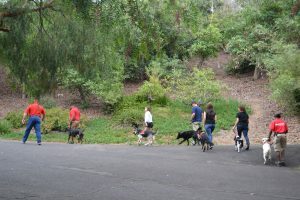 Why Professional Dog Training? Can’t I just do it myself? Having a Professional Dog Trainer makes a world of difference. And by professional, we mean, Experience, Success and Dedication. Mark “Dogman” Castillero has trained over 10,000 dogs in his 40 year career. 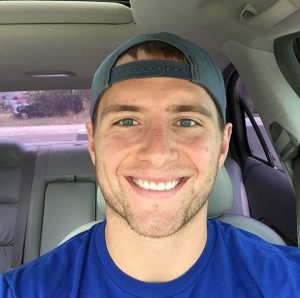 Mark is the owner and founder of Pro-Train Innovative Dog Training. His skilled team of professionals KNOW DOGS. Most of the canine owners that come to Pro-Train for help have been REFERRED by a previous client. We have a 95% Success Rate! Plus, we GUARANTEE the Training for the Lifetime of the Dog. -This includes refresher training and discounted boarding for extended periods due to travel or other needs. Personalized Training Can Make All the Difference. -Wow, your dog is so well-behaved! -How did you get your dog to be so well-trained? -I wish my dog behaved as well as yours! Then, call us today to set up an initial consultation at 760-749-0897. We consistently OUTRANK our competition. -Our facility is beautiful and relaxing and each canine, no matter the size, loves it. 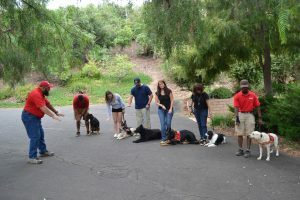 -Our trainers bond quickly with your dog. -Each of our trainers has been through the Pro-Train apprenticeship program and is fully equipped to handle all behavior issues. -We rank high on YELP and receive High Ranks online with our clients. -Once we have trained a client’s dog, we typically train their future fur babies as well. -We are Passionate about what we do…and it shows! What are you waiting for? Email us at protraindog@gmail.com to set up an evaluation of your beloved canine. We are straightforward and will tell you exactly what your family needs to have a well-behaved furry family member.